This is probably one of the top ten questions Realtors get asked, "How much is my, this or that, house worth? Some people probably think we could answer that question easily. If we had a crystal ball then we would be able to answer a lot of questions much more easily. Like the other popular question, "how long will it take to sell my house?" There are many factors when determining value, but it isn't just about the number of bedrooms or how many bathrooms a house has. Condition of the home is not necessarily the most important thing, and neither is the size of the lot. All of these contribute to the big picture and for the purpose of this article, I am going to leave out location all together. The value of something, including a house, is what it can be purchased for at a fair market price. So many would interpret that as what someone is willing to pay for a house. Others could argue it is what the seller is willing to accept. Both are true and filtering through both sides of the equation and searching out what has happened between other buyer and sellers in the recent past is how we determine value. 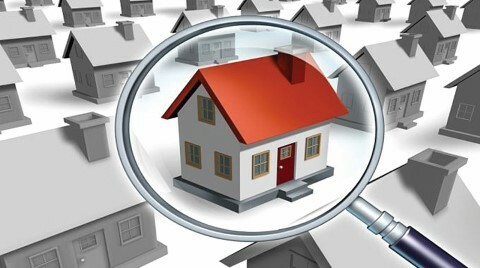 Appraisers and Realtors both use recent past sales to sales value homes. Then they make minor adjustments for number of bedrooms, baths, age, condition and many other items. The difference between an appraisal and a current market analysis is an appraiser is licensed and follows specific guidelines. Realtors are only allowed to give opinion of values and there are no set guidelines for them to follow. That being said, an appraisal, although more official, is not necessarily what a house is worth. It is however the most a bank will consider the home worth most of the time. So I would argue that an appraisal is closer to the most your house is worth because remember value is also what someone is willing to pay. Most people would not pay more than what a house appraises at and many would not even pay what a house appraises at. Are appraisals ever wrong? Of course, and they can be challenged, successfully at times. So how do you set a value or price on a home? The amount a seller is willing to accept is part of the equation, and so is what a majority of people would be willing to pay for the house. Another important factor is what the competition is asking for other homes. All of these play a factor, as does the number of potential buyers. Overpricing a home will greatly reduce the number of potential buyers, sometimes by over 50 percent. Have a conversation with several local Realtors, get their opinions, and remember that setting an accurate value is very important when listing a home.